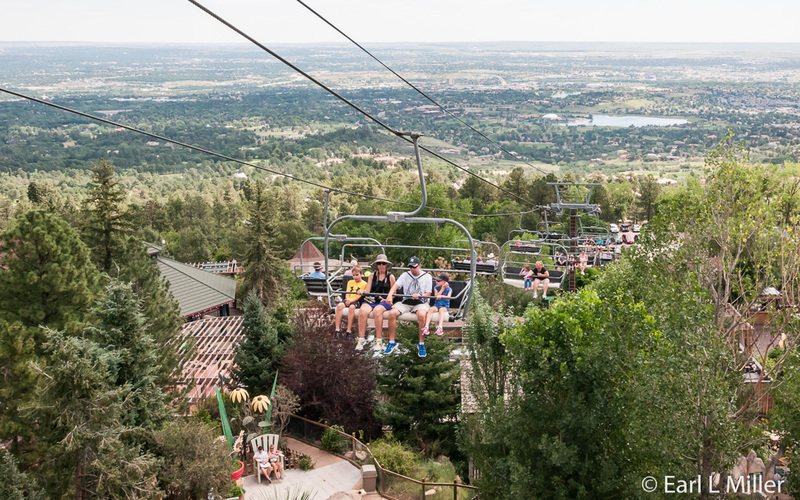 ﻿What two aspects do Cheyenne Mountain Zoo and The Will Rogers Shrine of the Sun ﻿share - their adjacent locations and their origination by Spencer Penrose to make them an important part of Colorado Springs tourism. Penrose started his collection of exotic animals with the gift of a black bear which he kept at Turkey Creek Ranch. Other animals were kept at the Broadmoor Hotel to amuse his guests. But those who stayed at the hotel were more annoyed than thrilled when the coyotes howled beneath guests’ windows; seals begged at their tables for scraps; and flamingos snatched food from dinner plates. When a mother whose son was bitten by a monkey recovered damages for $8,000, the animals were moved to new zoo grounds in 1926. Penrose played an active part in his zoo. He had fences, pens, and cages constructed for a variety of animals. He visited zoos worldwide, personally making purchases, sales, and trades for different species, including the ten buffalo brought from Yellowstone National Park. Many donated animals created another part of the collection. Julie Penrose’s birds became permanent residents in the new zoo when Colorado’s Health Department evicted them from the Broadmoor Garden Room. A trip to India inspired Penrose’s story that he had received Tessie, his elephant, from an Indian Rajah as a gift. A huge sign on Tessie’s freight car read “This car contains the Empress of India, the largest elephant in the world. Gift of the Rajah Nagapur of India to Spencer Penrose, Broadmoor Hotel, Colorado Springs.” But that wasn’t the truth though some biographies have insisted that it was. Tessie was a 45 year-old elephant purchased for $3000 from an Arkansas circus company. Spencer had contacted Fred Bonfils, onetime owner of the Sells Floto Circus, to find him a pachyderm. It is true that Tessie was Penrose’s caddy, and she camped in the hotel garage with her East Indian trainer. Between games, she amused herself by tossing around old automobile tires stored in the garage. When Penrose rode her in the Shrine Parade one year, Tessie ripped spare tires off the backs of automobiles, flinging them into the crowd and smashing store windows. She quickly had a home at the zoo after that. Admission at the zoo was fifteen cents which didn’t cover costs. In 1938, Penrose formed the Cheyenne Mountain Museum and Zoological Gardens to which the hotel company donated the animals, buildings, and grounds. Until 1990, improvements were made on a sporadic basis such as a bird and reptile house, homes for the monkeys, and cages for felines. Since 1990, improvements have been made annually. Major additions have included Wolf Woods with three Mexican grey wolves in 1994, Asian Highlands in 1996, African Rift Valley in 2003, Australia/Budgie Buddies Aviary in 2007, and Rocky Mountain Wild in 2008. Scutes Family Gallery, completed in 2012, houses 40 reptiles in a modern art gallery. Encounter Africa, created in 2013, was funded by a $13.5 million capital campaign. It’s the zoo’s largest addition providing habitats for African elephants, lions, and meerkats while bringing back the black rhinoceros. Walking into the new exhibit, you are engulfed by the African savanna, surrounded by realistic life-sized elephant sculptures, a safari tent, and tall African grasses. In 2014, improvements are taking place at their Australia exhibit. 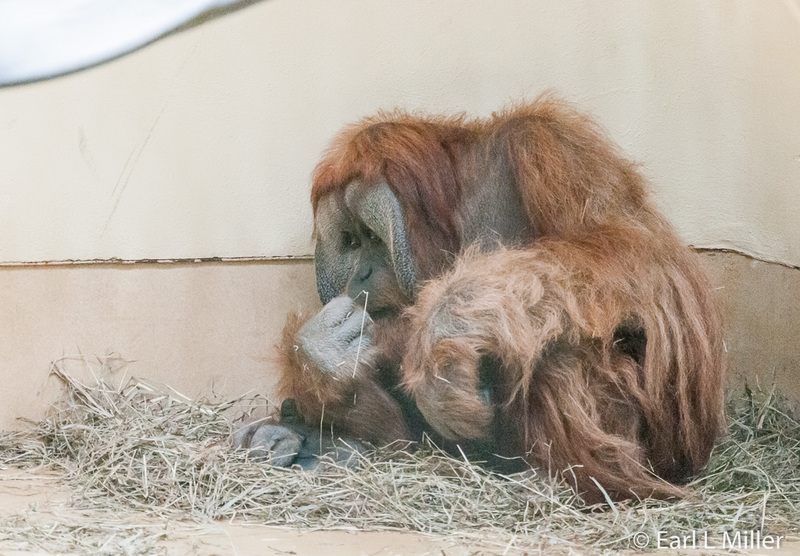 Besides all these exhibit areas, you’ll find Primate World which houses Western Lowland gorillas, an orangutan family, a gibbon family, and macaque monkeys. My Big Backyard is a hands-on area that kids of all ages enjoy. In the petting zoo, you can mingle with smaller animals such as rabbits, turkeys, chickens, a pot bellied pig, and dwarf goats. For added fun, children can play in the one-of-a-kind, nature-themed playground featuring big ants, a crawl-through snake, and giant climbable mushrooms; watch the giant koi swimming in an outdoor pond; and visit a tree house cabin. 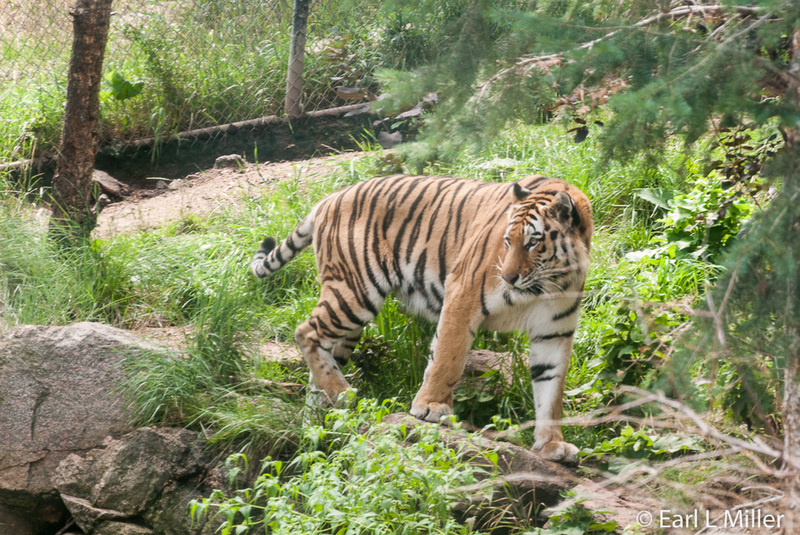 In all, there are approximately 950 animals and over 200 species housed in natural settings. For additional fun at the zoo, we saw many people taking the Mountaineer Sky Ride (an open-air, chairlift-style ride). It soars over such exhibits as Rocky Mountain Wild, My Big Backyard, and Asian Highlands. The ride takes approximately seven minutes to ascend the mountain. It’s available daily during summer season (Memorial Day weekend through Labor Day weekend) daily and during weekends the rest of the year. Cost is $5 for adults and $4 for children ages 3-11. The zoo offers pony rides daily during summer season. Weather permitting, they’re provided on weekends throughout the rest of the year, except when closed January and February. Price starts at $3. The Shongololo Choo Choo tot train is a ride in the Australia exhibit, next to Budgie Buddies. Certain height and weight restrictions apply. It costs $1 and is seasonal, weather permitting. In 1937, Penrose purchased a carousel at the Chicago World’s Fair. A refurbished version, which all ages can ride, is still in operation at the zoo. It costs $2 for one ride. Before you go, it is wise to plan your visit because of all the scheduled programs. Thirteen keeper talks and demonstrations occur daily throughout the zoo with several others planned on specific days of the week. You can also observe six other daily animal feedings and talks. Natural behavior shows occur Sunday through Tuesday at the porcupine exhibit and daily at the Bear Grottoes. To find out times and locations, go to the zoo’s web site, www.cmzoo.org. We made our first stop the zoo’s African Rift Valley, where the giraffe house, built in 1953, is located. It currently has the largest herd of reticulated giraffes in the United States. Today’s guests can hand feed them romaine lettuce for $2. There is also a giraffe cam for online giraffe viewing of the herd. After viewing the giraffes and the Wings of Africa Bird Show, we took a shuttle around the zoo and stopped at the top. The shuttle costs $2 per person, has selected stops on its continuous loop, and is not a narrated tram. But it certainly saves climbing uphill. 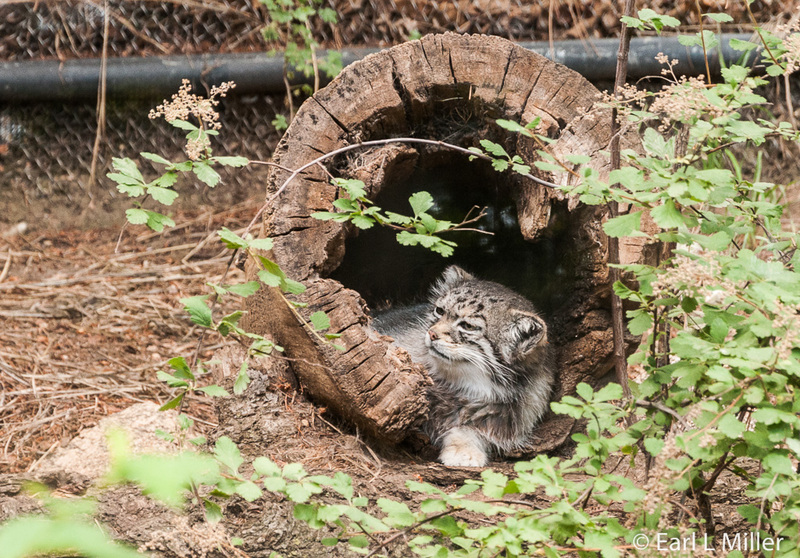 Cheyenne Mountain Zoo’s web site touts itself as the only mountainside zoo in the United States. It goes from 6800 to 7000 feet elevation. We next headed for Rocky Mountain Wild. 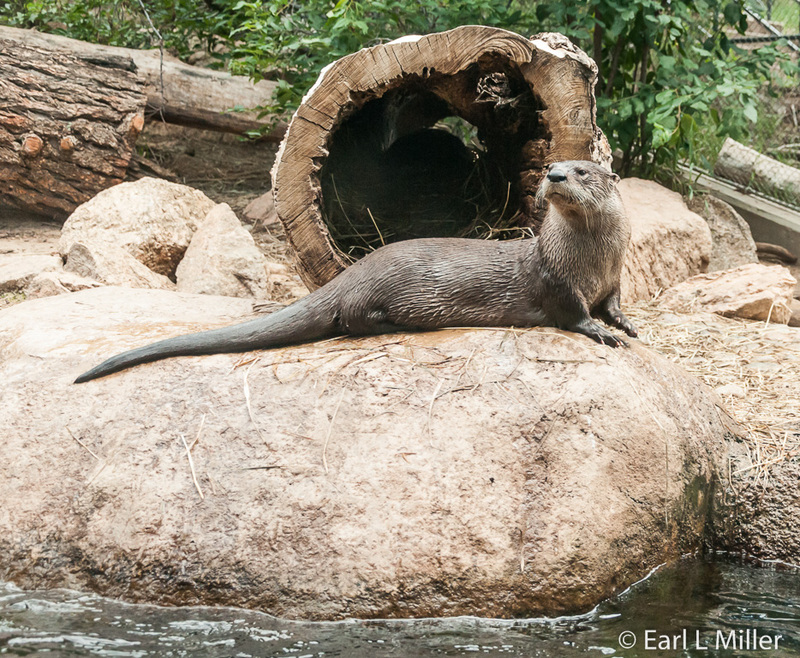 We noticed Greenback Cutthroat Rainbow trout, grizzly bears, mountain lions, a porcupine, and two very playful North American river otters. The Mexican Grey wolves and moose hid themselves. After a visit to Primate World, we made our final stop Aquatics where we saw ducks and a river hippopotamus. That’s also the home of a beaver, Komodo dragon, and other species, which were missing in action as we passed through. I think since it was a hot day, a number of the animals throughout the zoo preferred to remain unseen. Admission during the summer season is $17.25 for adults, $15.25 for seniors, and $12.25 ages 3-11. There are discounts for the military. During the off season, admission prices are less. 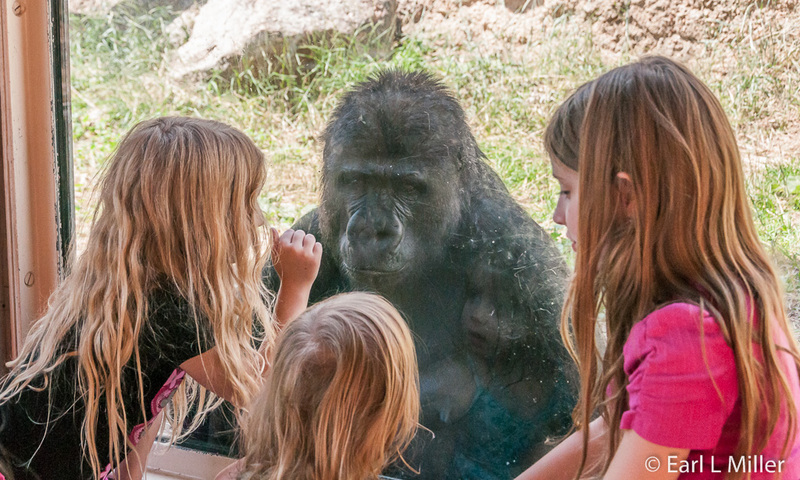 This is one of nine out of 224 accredited zoos and aquariums not receiving government support. 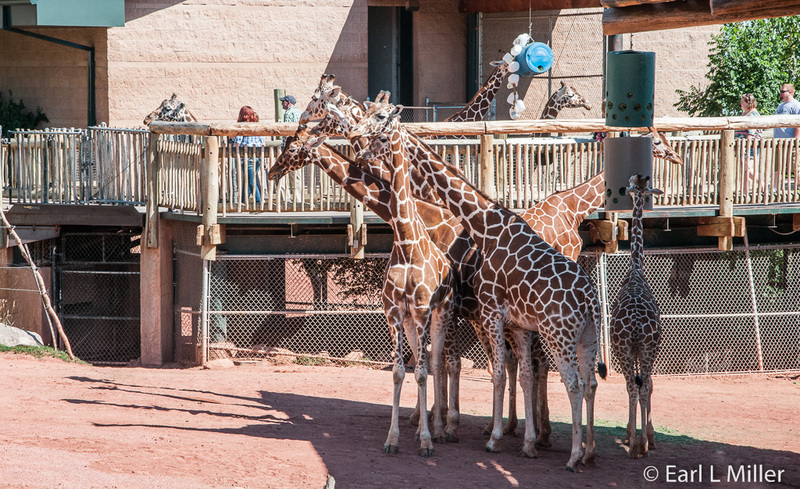 Cheyenne Mountain Zoo’s address is 4250 Cheyenne Mountain Zoo Road. The phone number is (719) 633-9925. Completed in 1937, the Shrine of the Sun is a memorial to Will Rogers and a tomb which holds the remains of Spencer Penrose and his wife, Julie. It’s located 1.4 miles up the Russell Tutt Highway from the zoo entrance on Cheyenne Mountain. 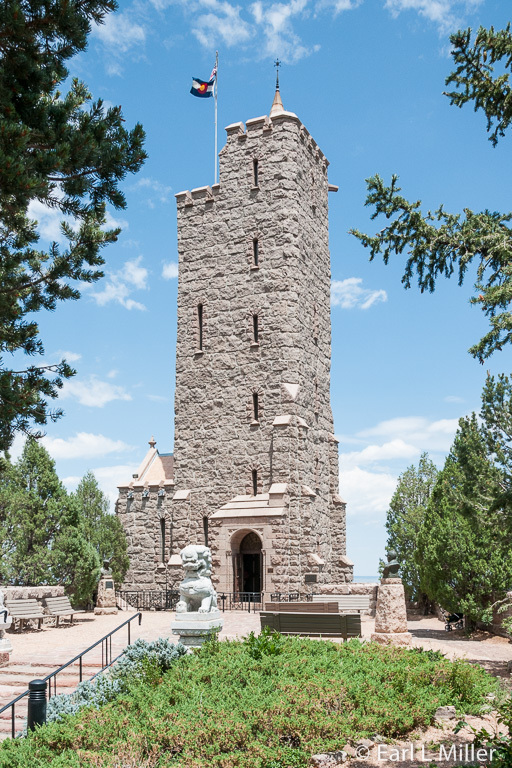 Charles E. Thomas, a Colorado Springs architect, designed the monument. A stop that I would strongly recommend, before walking up the hill to the shrine, is seeing the educational center first. It has a model of the building so you can find out where everything is located. Erick, a well informed docent who is based there, is happy to answer questions. Signboards provide a complete biography of Spencer and Julie Penrose. The square-sided, 114 feet high structure received its name because the illuminated tower angles capture the morning and evening light and in dedication to Will Rogers. Originally Penrose wanted to name it after himself, but Julie talked him into naming it after Rogers instead. Constructed entirely without wood or nails, it has a 200,000 pound steel frame faced with 6,500 cubic yards of pink-grey Pikes Peak granite. According to Ripley's Believe It or Not, the facing was quarried from a single Cheyenne Mountain boulder. In its construction, builders used 30 wagon loads of cement. The steps and viewing platform are composed of Manitou green sandstone. The structure has ornate bronze and iron doors and leaded cathedral glass windows. Imported red Italian marble and green terrazzo are found on the floors throughout the rooms. A spiral staircase leads to an observation alcove in the tower. It’s a “singing tower” with chimes and a vibraharp that play on the quarter hour from 125 selections. In front of the shrine are busts of Will Rogers and Spencer Penrose. 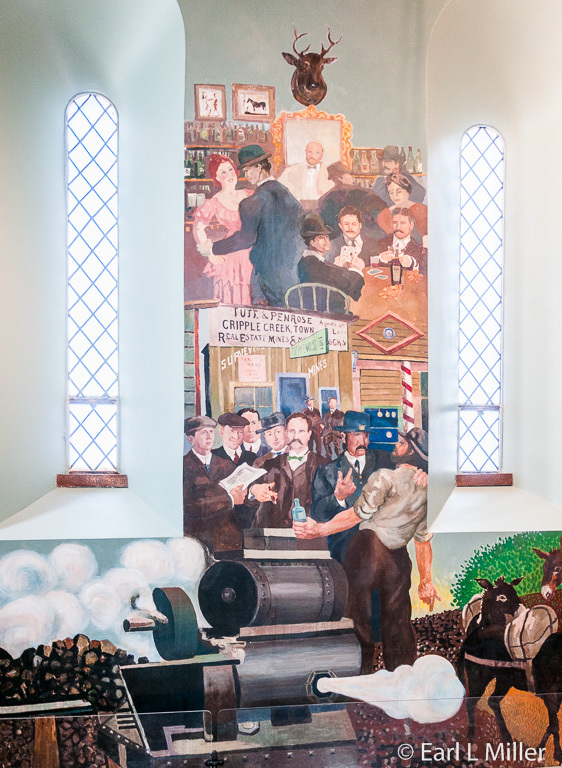 Lining the interior, first floor walls are colorful murals commissioned by Penrose depicting scenes and figures in Pikes Peak regional history. You’ll see pictures of Penrose along with such associates as Charles MacNeill, Charles Tutt Sr., and Charles Tutt Jr. It includes scenes of some of Penrose’s accomplishments such as the C.O.D. mine, the Pikes Peak Highway, and Utah Copper Mine steam shovels. You’ll also see Native American scenes, Zebulon Pike travel, and activities of William Palmer. Called the Historical Room, it was painted by New Mexico artist, Randall Davey. These were restored in 1993 by Eric Bransby. 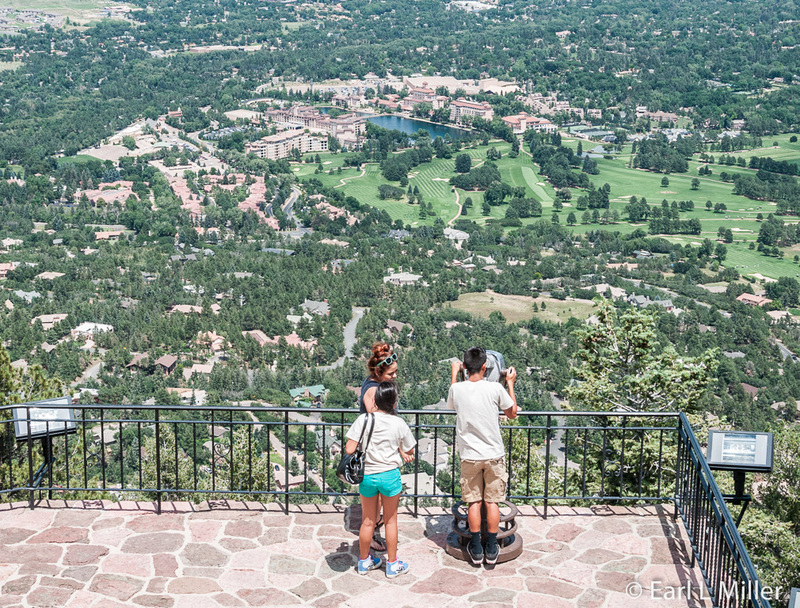 Outside on the viewing platform, you’ll have incredible views of Colorado Springs. Arrows on the top of the platform’s exterior wall point out what you are seeing such as the Broadmoor and Garden of the Gods. As you reenter the structure, you’ll find a spiral staircase climbing three floors, 86 steps, to an observation alcove. As you ascend, you’ll find a photographic history of Will Rogers from his childhood in Oklahoma through his career on stage, screen, and radio. It includes one of Rogers and Wiley Post taken right before their fateful crash. If you descend 24 steps from the main floor, you’ll reach an old world chapel where the remains of Julie and Spencer Penrose are interred, along with two of his bachelor friends, Harry Leonard and Horace Devereux. Reflecting a European influence are such items as a Baroque period painting of Madonna and Child overlooking a 16th century ornate marble altar. Two 15th century prayer benches, an anniversary gift to the Penroses from the Duke and Duchess of France, line the chapel’s walls. A hand-carved German crucifix adorns one wall. Visitors are allowed to peer into the room but may not enter. Seniors should keep in mind that seeing all of the monument consists of 110 steps each way. The spiral interior ones are narrow and steep. The exterior steps are uneven and irregular. The Shrine of the Sun is open daily. Your trip there is included in your zoo admission for that day. You must pay that fee whether or not you intend to visit the animals. Drive up to the zoo entrance gate and show your admission receipt. The first part of your drive is through the zoo then you continue up the Russell Tutt Scenic Highway. 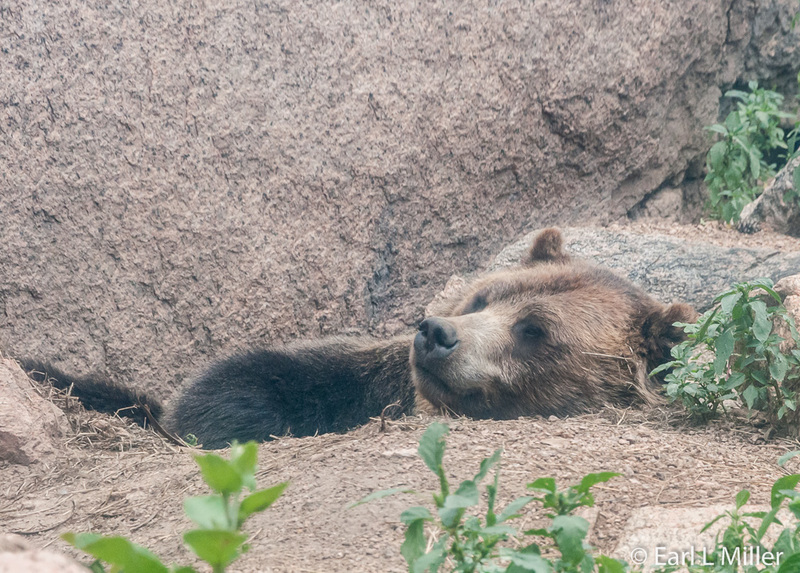 From May 1 to Labor Day, hours are 9 a.m. to 4 p.m. During the rest of the year, the hours are 9 a.m. to 3 p.m.
Cheyenne Mountain Zoo may be the only mountainside zoo in our country. 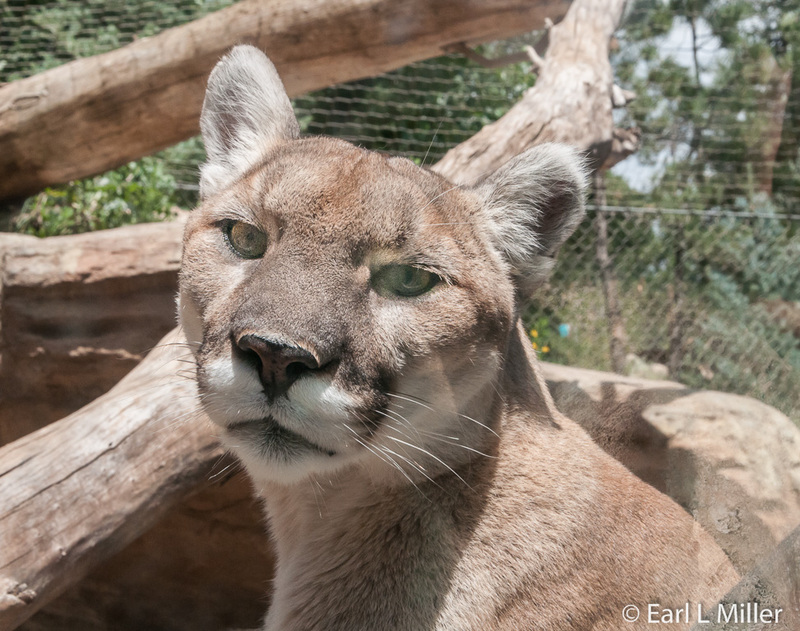 However, Mill Mountain Zoo is located atop Mill Mountain in Roanoke, Virginia. It opened in 1952 and houses only 50 animals, birds, and reptiles.